Karen breaks complex ideas into simple steps that make your goals achievable. 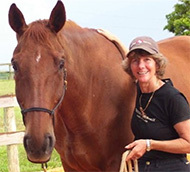 She looks "outside of the box" to find communication tools to solve each riders' challenges. 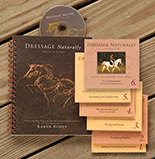 Karen is a witty, passionate, and gifted horsewoman at creating healthy, happy horses and riders."